From the age-old times of Rishis, Munis, Mahamunis, and sages, Ayurveda has been practised & spread across India. It is the oldest acknowledged system of healing and medicine and therefore is known as "The Mother of All Sciences". Vardhan Ayurveda , located in Basheerbagh, has been performing in the healthcare service ever since 1999 and is also simultaneously creating awareness on Ayurveda, top Ayurvadic hospital in hyderabad and around the world. Vardhan Ayurveda’s main objective is to creating awareness about the prehistoric knowledge of Ayurveda through healings, therapy services, and Ayurvedic knowledge’s exploration. We are also occupied in creating and developing extraordinary medicines for medically challenged and persistent devastating diseases and disorders. We have been committed to this system of medicine through research and development with the highest care and have been esteemed by people of different countries. " Our organization is running in a very specialized way without settling for anything less than the highest quality or service". Dr. Kranthi Vardhan who has done BAMS; MD (Ayu); Ph.D; MS (Psycho Therapy & Counseling) is the head of the institute along with his spouse Dr. Madhuri Vardhan, who did BAMS; and M.D (Ayu) attends the clients by showing highest care & cheerfulness. The masseurs and other technical staffs are proficiently trained, certified and well experienced. "We show empathy to our clients and give custom-made ayurvedic health care, ayurvedic healing, Panchakarma healing, re-energizing procedures, beauty enhancing healing & Kerala’s unique Kalari massage by paying attention to individual patient and provide them with our services". We maintain to keep our customers happy and content, from every part of the world. Dr. Kranthi Vardhan started Vardhan Ayurveda Hospital, in the year 1999 with an endeavor to offer high quality, custom-made, empathetic & purest healing through Ayurveda (the mother of all the sciences). His holistic approach facilitates him to create individualized programs,exclusively tailored to your particular needs, integrating into your ayurvedic consultation, nutritional and lifestyle counseling, herbal nutrition, ayurvedic therapies, rejuvenation procedures, beauty therapies, therapeutic Ayurveda & through his institute has accomplished triumph in taking care of the spine and its illnesses with no surgery for more than 1 lakh patients till date, without recurrence. He has achieved victory in the process of treating patients suffering from the following unceasing, incurable and devastating ailments using “Ayurveda & Panchakarma principles & procedures” through research: Sciatica, slip disc, herniated disc, migraine, , spondylosis, psoriasis, headaches, paralysis, neurological problems, degenerated disc, eczema, Leucoderma, sexual problems, hepatitis, sinusitis, motor neuron disease, infertility, skin problems, allergies, acidity, ulcers, digestive conditions, jaundice, asthma. Amyotrophic Lateral Sclerosis, multiple sclerosis, parkinsonism, Alzheimer’s, cerebral palsy, piles, fistula, liver conditions, obesity, arthritis, Osteo arthritis, rheumatoid arthritis, gouty arthritis, fibromyalgia, rheumatism, diabetes, hypertension, renal calculi, dandruff, alopecia, Irritable Bowel Syndrome (IBS), stress and strains, loss of memory, psychosis, psycho somatic disorders, sleeplessness, menstrual cycle disorders, Gynaec conditions, pediatric ailments, ante natal and post natal specialty care, Rasayana (the life extension rejuvenation procedures) Chikitsa, Vajikarana procedures. Dr. Kranthi Vardhan began running the website for his Ayurvedic hospital and during this time he has been enlightening the people about Ayurveda medical science and how they are being a part of globalizing Ayurveda medical science. He was influential in beginning a doctor-patient live communication TV program called "Meet your doctor" in Tv9, which is well-liked Telugu by people. He was the only doctor approved for the program for about 4 years in which time he had conversed about Ayurveda and the disease management & rejuvenation, and nearly 120 programs are aired live and thus being able to create the awareness of Ayurveda to the society. "After bearing in mind the success in Tv9 we had relayed programs in all the TV channels like ABN Andhra Jyothi, ETV, Gemini, tv5, CVR health, HMTV, NTV,and Zee Telugu channel etc." This makes us a contributor to creating awareness about Ayurveda to every nook and corner of the Telangana & Andhra Pradesh states of India. Dr. Kranthi Vardhan is a qualified, registered and extremely capable doctor in ayurvedaconsultants.com website, which is totally dedicated to Ayurveda where the doctors are on a pedestal conversing over wide-ranging cases and experiences – Dr. Kranthi Vardhan is selected to be the no. 1 doctor amongst 5000 doctors for giving authentic, most excellent and fitting answers in all the discussions; voting is done by all the fellow doctors and the patients (80000) registered on the website. After bearing in mind the torment of the patients with spinal and disc related conditions, we have established first-ever Sciatica and spinal research institute in India with an intend to cater the requirements of the people with speciality treatments of the spine through Ayurveda & Panchakarma. "He reverses engineered the core concept of "Meru Chikitsa" – a prehistoric ayurvedic treatment for spine, and neuro therapy. He is practising this ancient wisdom of Ayurveda for successfully treating patients with spinal disorders which are deep-rooted." It facilitates patients suffering from these diseases to go back to a normal lifestyle. 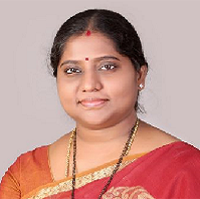 "Dr. Kranthi Vardhan has published a lot more than six hundred research articles on “Ayurveda and Panchakarma” in all the foremost newspapers in India such as Munsif newspaper, Deccan Chronicle newspaper, Hindu newspaper, Andhra Jyothi newspaper, Eenadu newspaper, Namaste Telangana newspaper, Siasat newspaper, and Vaartha newspaper etc." "Dr. Kranthi Vardhan is an exemplary columnist, as well as a writer in “doctor’s page” of “Andhra Jyothi newspaper”. 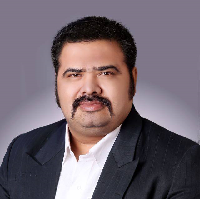 Dr. Kranthi Vardhan has published numerous priceless articles on the following topics –Sandhi Vatam, G, psoriasis, Amavatam, back pain, Sciatica, spinal ayurvedic care, Ayurveda Panchakarma, Rasayana therapy, Dinacharya, Ritucharya, erectile dysfunctions, infertility, sexual problems, paralysis, neck pain, slip disc, Meru Chikitsa etc." He has been part of numerous national and international seminaries. He is recognized and well known and serving people with all kinds of medical or health problems, effectively. He used his enormous knowledge to put forward solutions to modern health problems successfully & emphasizes that he will go on pursuing Ayurveda throughout his life. To propagate authentic & shastroktha knowledge of Ayurveda, Ayurveda Panchakarma, and rejuvenation therapies. To treat various diseases & disorders using the basic principles of Ayurveda and Panchakarma therapy. To improve the quality of life for those with chronic ailments. To cure those various ailments where the cure is not possible in other fields of medicine, but only through research in Ayurveda. To educate the common man and disseminate knowledge treasure of Ayurveda- the mother of all the sciences. To conduct research and educational activities in understanding and advancing in the treatment of those chronic and debilitating conditions through research in Ayurveda and Panchakarma.